These savoury topped Weet-Bix™ make a quick and colourful snack or part of a delicious lunch. 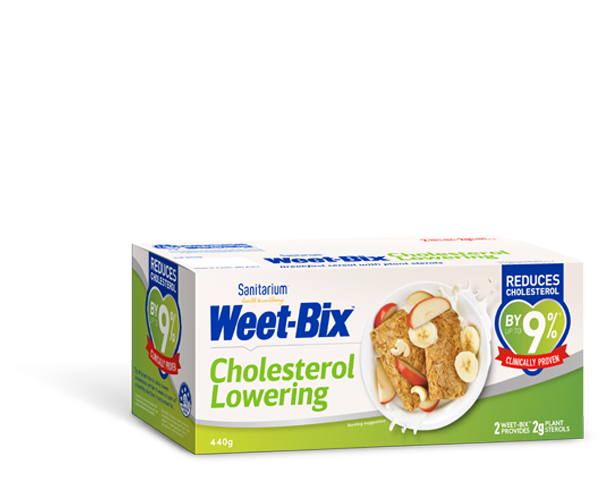 Find out more about Weet-Bix™ Cholesterol Lowering! Toss carrot in apple cider vinegar and set aside for 2 minutes. Spread Weet-Bix with hummus, top with pickled carrot and sprinkle with za’atar. Za’atar and dukkah are Middle Eastern spice and sesame seed blends. They can be found in the spice aisle of your local supermarket. Buy beetroot hummus from the supermarket or make it yourself.